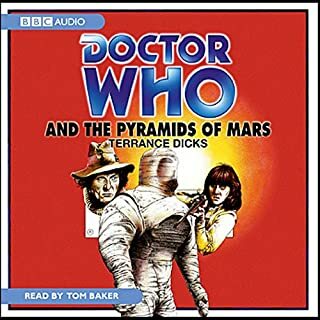 An unabridged audiobook of this classic novelisation of a Fourth Doctor TV adventure from 1975. Landing on Earth - now a barren, desolate planet - Sarah, Harry and the Doctor are unaware of a large, watching robot. The robot is the work of Styre, a Sontaran warrior who uses all humans landing here for his experimental programmes. What has happened to the other space explorers who have come here? Why is Styre so interested in Earth and in brutally torturing humans, including Sarah Jane? 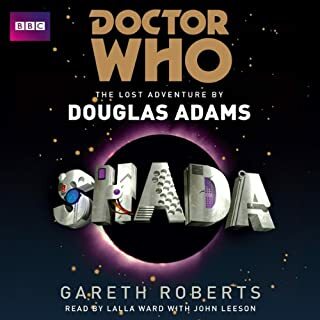 An unabridged reading of an original adventure featuring the Fourth Doctor, as played by Tom Baker, and his companion, Leela. The Doctor and Leela arrive on the planet Kaldor, where they find a society dependent on benign and obedient robots. But they have faced these robots before, on a huge Sandminer in the Kaldor desert, and know they are not always harmless servants....The only other people who know the truth are the three survivors from that Sandminer - and now they are being picked off one by one. An excellent novel for the 4th Doctor and Leela. If you haven't seen the classic episode The Robots of Death, well, I suggest you go and do so before listening to this. While it's not essential, it does provide a rich background of images and knowledge of settings and characters that you otherwise might not have. The story is well done all around really. Good plot, awesome characters, interesting settings, and Mr. Collings does a great job with the narration. 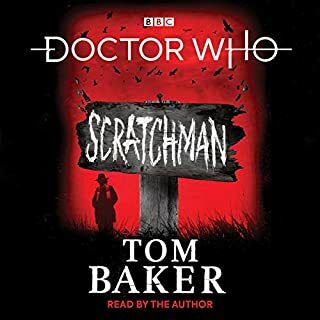 If you like Doctor Who, the 4th Doctor, and especially if Leela is a favored Companion of yours, then you will very likely enjoy this book as much as I did, so I heartily recommend it. Was disappointed in the story and performance. Just didn't feel like a Doctor Who story, especially from the Tom Baker classic era. Leela's character is far too more violent than the 70's version. I found it difficult to keep up with the difference characters. As much as i like david collings in dr who and blakes7, his voice recording lack consistency. His narration is good, but character accents bounce around, not distinguishable. Not consistent, and sometimes changes character accents. The dialogue is underwhelming. There’s no wit or substance. Dragging a plain jane plot and one too many hours of reprised character, from original classic epi, subplots. As enjoyable dr who can be, i feel like i just sat thru one of the worse episodes, like 6 hours of horns of nimon, and all ya hear is loud clunky floor board stomping over the dialogue. 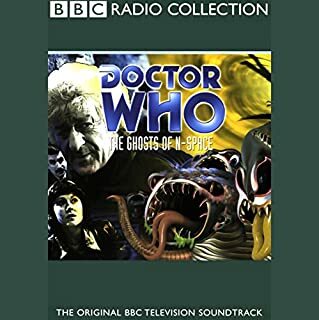 Where does Doctor Who: Corpse Marker rank among all the audiobooks you’ve listened to so far? It's a Great Listen and keeps you interested throughout the storyline. Kinda roundabout - but okay. Was expecting Tom Baker not a story of the 4th Dr - but it was still okay. I loved this audiobook. 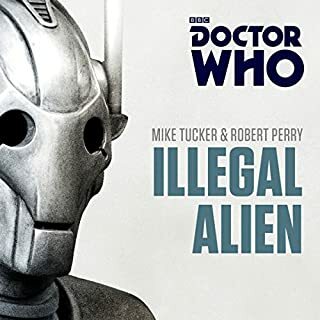 A great sequel to a great Doctor Who story. It had my favorite Doctor number 4, and the savage companion Leela. David Colin's who played Poole in the serial, does the narration in the audiobook. Chris Boucher is a great writer, and I hope they release more his book on audio. I couldn't get past chapter 5. A follow up to Robots of Death really sounded like it would be great, but there is just nothing interesting about this story. I found the story to be a bit short on substance. It lacked an interesting subplot and events appeared to be put together that do not seem to naturally follow. The bridge scene was just ridiculous. If I wasn't a Doctor Who fan, I probably would rate this lower. Also I just kept picturing the wrong Doctor in my mind because the antics were too generic. Oh dear: this really does not capture the feel of Doctor Who generally and definitely not the Fourth Doctor. I would not be at all surprised if this was not originally written in the Whoniverse at all but had the Doctor retro-fitted into it. Practically the first thing the story did was dispense with the original Voc Robots etc. in favour of a new, less robotic, breed so that says a lot. The canonical characters do not ring true and could be anybody. As well as discordant notes (The Doctor convincing someone they would be killed as a joke/incentive was particularly jarring) the Doctor is often sidelined for great chunks of the story. 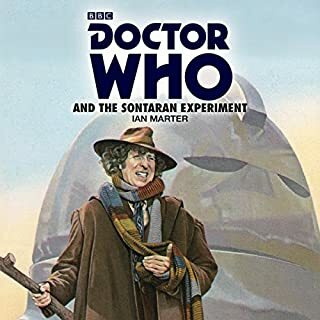 There are very few examples of particularly Doctor-like attributes being displayed (rather than being dispatched in any clever way arguably the main villain is removed by brute force) and it misses the broader dramatic appeal of the series and instead is SCI-FI in all-caps. There is an attempt at world-building but it is pretty uninspired and quite painful for those who have not built up an immunity to the language of three-volume sci-fi mega-sagas. No good-natured 'reversing the polarity of the neutron flow' here. The most excruciating parts are the philosophical ramblings of an artificial mind in a Yoda-esque argot exploring the time-after-its-not-being-become-the-is-that-is-no-longer-the-was or some such agony: I was past caring. I think there was an explanation of why everything happened but - even if only because it failed to engage me - by the end I had no idea what had gone on. The voice performance was fine but - and I could be projecting here - he did not seem to be enjoying himself. I cannot blame him. If you are hoping for a cosy return to 70s: you will be disappointed. It must be the Blinovitch Limitation Effect at work. loved this story; confusion abounds with intreague around every corner. definitely Dr who on top form with several twists. Would you listen to Doctor Who: Corpse Marker again? Why? 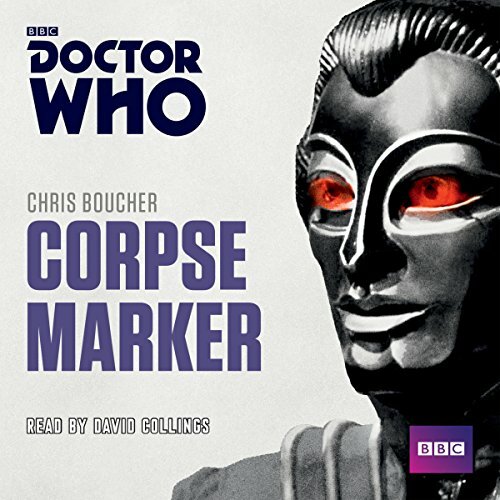 I did enjoy Corpse Marker as it was an entirely engaging story - even if it did feel like most instances of swear words were put in solely to try and make the book sound more adult than it was - but it did feel sometimes that the Doctor was a secondary character compared to the returning characters from The Robots Of Death and Leela. As such I would be unlikely to relisten to the story. One of my favourite story elements was the inclusion late in the book of the Tarranists as this showed just how quickly people could be deified even if they were horrendous people in actuality. I was also a big fan of Leela's characterisation as it showed her thought process in a way that was original to my understanding although this could be expected as the author of Corpse Marker was Leela's original creator. I recommend this book overall - roughly a 7.5 out of 10 - however I would state that this book is not a sequel for ROD in the sense that it has a similar plot but in the sense that the atmosphere is something akin to a slightly more adult or intense sequel with engaging political games. If you are aware of this I believe you have a larger chance of enjoying the story. Where oh Where is D84? Has Doctor Who: Corpse Marker put you off other books in this genre? Which character – as performed by David Collings – was your favourite? My biggest problems with this book are that it doesn't feel like a Doctor Who book. And for all the fact it is a sequel to Robots of Death it could actually have taken place anywhere. Toos, Poole and Uvanov are the only links to the past story, the robots, as far as I can see the only reason to revisit the planet at all, are so evolved past the originals its equivalent to leaping from Sputnik to Hubble without going through any of the technological revolutions required to actually get there.Where oh Where is D84 when you need him?